Menzi Ngubane (born 4 September 1964) is a South African actor. He is perhaps best known for his portrayal of notorious figures including those of Sibusiso Dlomo on Generations and Mazwi on Ubambo Lwami. His role as Sibusiso Dlomo on Generations ended abruptly in 2014 when he was fired from that show along with fifteen other actors over wage dispute that had deadlocked. 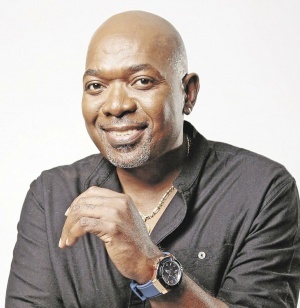 After Generations he starred on the E.tve.tv short-lived telenovela, Ashes to Ashes, as Detective Nkonzo Mazibuko before settling on the Mzansi Magic telenovela, IsiBaya as Judas. Menzi Ngubane was diagonosed with kidney failure in 2010 and was on the wating list for a transplant for five years from 2010 to 2015. During this period he was undergoing a self administered Dialysis known as the Peritoneal Dialysis. While on the waiting list he missed the first opportunity for a tranplant after the hospital contacted him unsuccessfully and eventually skipping him. He later recalled that when they told him that a kidney had become available he remarked, "then it wasn't for me. When mine becomes available, I would answer the phone at once." In 2015 Menzi Ngubane underwent a successful kidney transplant and returned to normal health. This page was last edited on 25 February 2019, at 21:49.